Today you’d have to look hard to find a brand that doesn’t have a blog on its website and is not producing at least some content. Oversaturation is a reality and more and more marketers are finding it harder to succeed with content marketing. This year’s Content Marketing Institute B2B report found that 76 percent of brands say they have only limited or no success with content marketing. These results are startling when you consider the sheer amount of content being published by brands every day. If only a little fraction of it achieves its goal, is it worth the time and money that goes into it? Yet, for a small minority of brands, creating content is extremely successful and worthwhile. So what is it that those brands are doing right, and how can you do that, too? 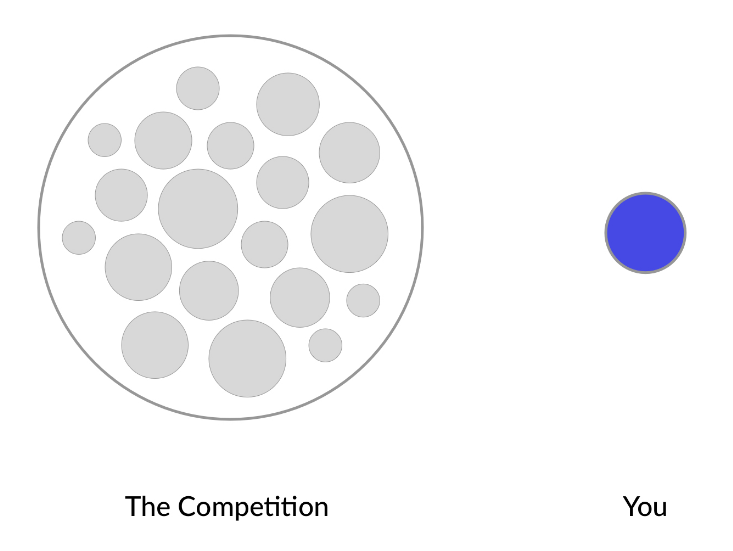 To understand what differentiates winners from losers, first, you need to understand where so many brands go wrong. Here are a few reasons why so much of content marketing does not achieve any significant results, and what you can do differently. Lack of a refined strategy. Use of the wrong channels. Expectations are set too high. All brands that are struggling with content marketing make one or more of these mistakes. However, for 99 percent of cases none of these elements is the main reason why content isn’t working. I believe success with content starts deeper. Two elements of your content marketing program are crucial. They must change and adapt as the industry changes and develops if you want to run a successful content marketing program. These two concepts are the most important levers you have to make sure your content marketing program is successful. The content ideation stage is one of the cornerstones of good content. Marketers often tend to rush the ideation stage in order to get plenty of content out. The risk though is that by spending too little time on developing their ideas, they may end up having all their time wasted when their content fails to make a mark. Make sure you topics will be interesting to your audience: As Ben Wood suggests in Using Competitor Research for Your Content Ideation, a little competitor research can tell you a lot, including: which pieces of content are being shared the most in your industry; trending industry topics and themes; what types of content earn links for your competitors; who follows your competition and what they tend to share; and what types of content big brands in your industry are using. Fine-tune your idea with tools: As Vikas Agrawal points out in Top 15 Tools That Will Help You Create Better Content, “content development is an art that requires mastery of the tools of the trade.” Use these tools to help create content that is better than anything on the topic currently available. To offer really good and deep content, you have to spend more time on the ideation process through all of the above stages. Your content ideation is also strongly tied to the content creation formula you choose. When we look at brands that use content successfully to market themselves, we’ll often notice that they follow a specific formula. Channel: Where you will engage your audience. Cadence: The rate at which you can produce quality content. Perspective: Your unique point of view regarding the topic. Tone: The way you make people feel. Execution: Whether you meet the expectations you’re setting. Often the formulas we follow are dominated by what we see others doing well and what is being shared by people on social media. Using an established formula may never lead us to recreate the success of those who came up with it in the first place, though. Daly argues that all too often content across different brands within the same industry tends to follow the same formula. Usually those who come up with the formula are those who succeed with it because they have the time to perfect and exploit it. Meanwhile, everyone else is just attempting to replicate their success endlessly, yet never quite making it. The problem is not with using formulas in the first place but rather about properly assessing whether the situation we are in calls for following or creating a formula. So when should you follow a formula and when should you differentiate? According to Daly, following an established formula is best when your competitors are weak or the market you are in is new. In this case, you can successfully capture your audience through content by improving an already established formula that’s not “owned” by anyone in your market. The key is to outpace your competitors by improving on the formula. Your mastery should be so great that you are seen as owning the formula. While this approach is not particularly provocative, it can build up to guarantee a strong stream of organic traffic for your website. This is the approach AdEspresso used to become one of the leading sources on Facebook advertising. When you are up against many strong opponents, it can be hard to improve on an already established formula. This is when you may need to consider taking a risk, and trying out something entirely different — a formula that breaks the mold. By trying out new possibilities within these elements, you can find a voice and approach that will be unique to you, and make you stand out. As Ginny Mineo puts it: in finding your own formula you may establish that only blogging is not enough or that you need to consider shifting your strategy toward different content channels. While creating your own formula carries risk because you will be entering uncharted territory, it may prove to be more productive in the long run since you will not be competing with others who are doing the same thing. It may take a while for you to establish your formula. It took Buffer a few years, yet by staying focused and building on their content over time, their approach is still delivering huge amounts of traffic on a monthly basis. If it is increasingly becoming harder to achieve business goals through content marketing, then you need to rethink what you are doing. Two central aspects of content marketing that are important in this process are the ideation stage and the content formula. The former is the stage in which you develop, research, and refine your ideas, and the latter is the framework you use when putting those ideas onto paper. Honing your content creation skills by working on all stages of the ideation process, and carefully choosing the formula to follow can help your content outshine your competition and meet the goals you are setting.